1893 was a year to remember: An economic depression known as the "Panic of 1893" had a devastating effect on American banks and businesses, and the Larkin Company in Buffalo was not spared.To make matters worse Elbert Hubbard informed his partner, John D. Larkin, that he would be leaving in January 1893 to attend Harvard, and demanded his share in the business. Larkin refused and law suits were threatened. Darwin Martin, eager to take over Hubbard’s position, was told that it would involve no increase in salary. 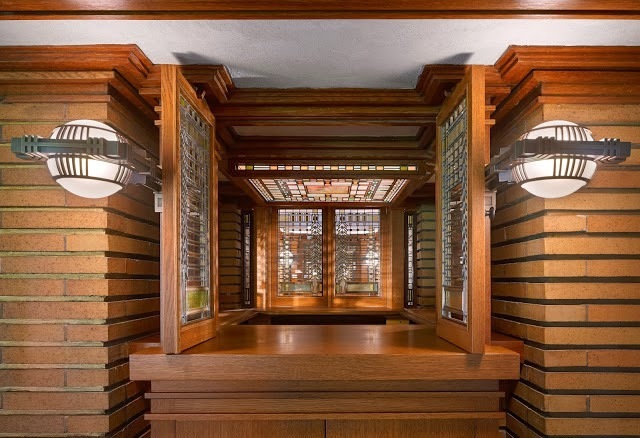 1893 was also the year that Frank Lloyd Wright decided to leave Adler & Sullivan and open his own architectural practice in Chicago. Even the high point of the year in the United States was problematic: the much anticipated Chicago world's fair celebrating Columbus’s discovery of America in 1492, was delayed until 1893, but it was a smashing success nevertheless. Four million Americans visited the World’s Columbian Exposition, and Elbert Hubbard and Darwin Martin were among them. Owing to his abrupt and untimely departure from the Larkin Company Hubbard and John Larkin were not on speaking terms but Hubbard was able to maintain an avid, vested interest in the fortunes of the Larkin Company through his friendly relationship with Darwin Martin. Darwin Martin noted in his diary on the first of June, 1893, “I [went] to East Aurora where I walked five miles with Mr. Hubbard and spent the night.” Shortly after that on June 22, 1893 Hubbard wrote Martin an enthusiastic account of his visit to "The Fair," as the World’s Columbian Exposition was known. The letter suggests that Hubbard was aware that the Martins, too, were going to the Fair. “I think five hours a day at the Fair will do one as much good as eight or ten. I spent eight days inside the gates and the extent of the exhibition is far beyond my expectations – far surpassing the Centennial [Philadelphia 1876].” Hubbard's stay at Harvard was obviously short lived. Despite the slow-down at the Larkin Company the Martins embarked for the Fair in Chicago a few weeks after Hubbard's visit. Ever generous when it came to his family, Darwin fashioned the occasion into something of a reunion. Along with Isabelle Martin, his wife, and Nettie Reidpath, her sister, they were joined by Darwin’s brother William and his family (Chicagoans), his sister Delta and her husband George Barton (who were then also living in Chicago), Darwin’s oldest brother, Frank and his wife, Florence (wanderers), and Maude Martin, Darwin’s half-sister from Nebraska, whom he had not seen for fifteen years. Of her he had only this comment: "Little bit of a girl, lisps." But why the top of the Auditorium Building? 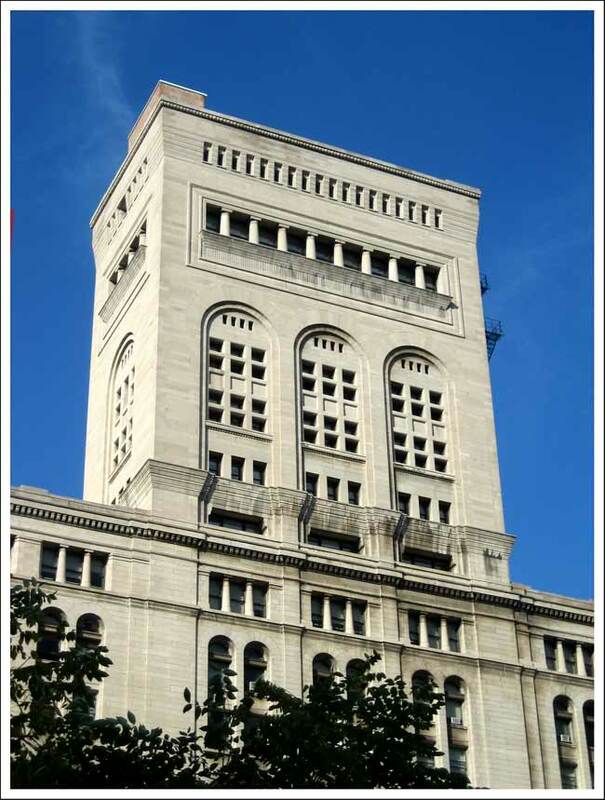 Two possibilities presents themselves: first, the roof of the tower of the Auditorium Building, then one of the highest points in Chicago, was an ideal place from which to survey the city, and Chicago in 1893, home of the Chicago School of skyscraper pioneers, was something to behold. But they may also have been drawn to the Auditorium because its architects, Adler & Sullivan, were then building the Guaranty Building in Buffalo, soon to be recognized as the finest building in the city. At any rate, the rooftop moment places Darwin Martin immediately above the office of Adler & Sullivan where Frank Lloyd Wright was the principal draftsman. Martin and Wright would not meet, however, for another nine years when the Larkin Company executives invited Wright to Buffalo to discuss a new office building.